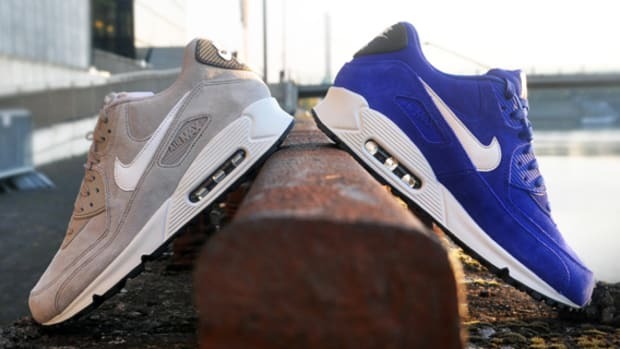 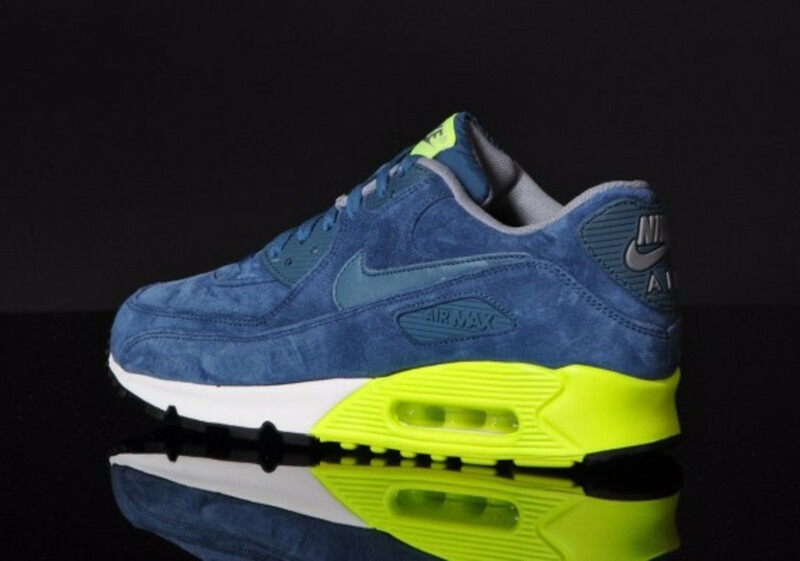 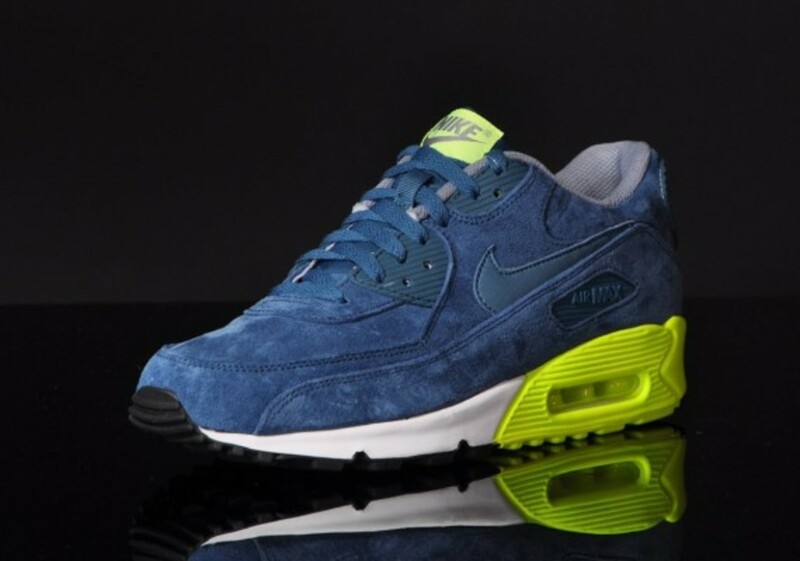 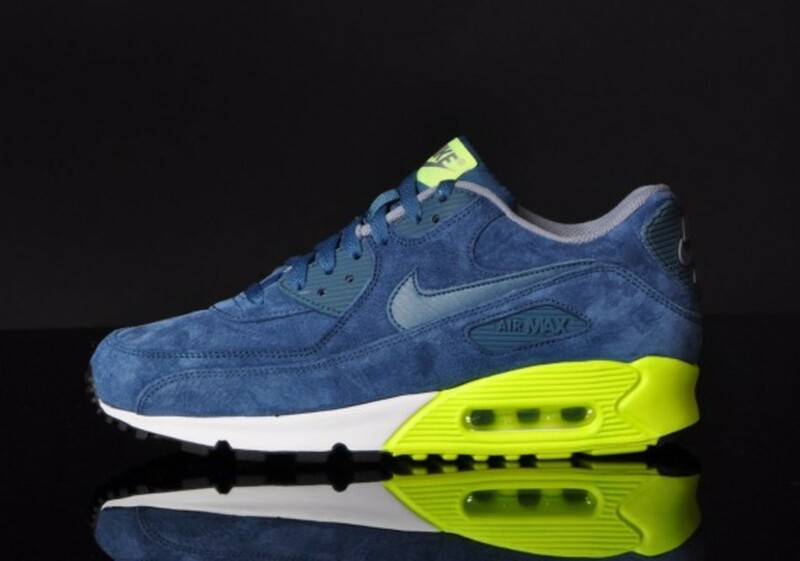 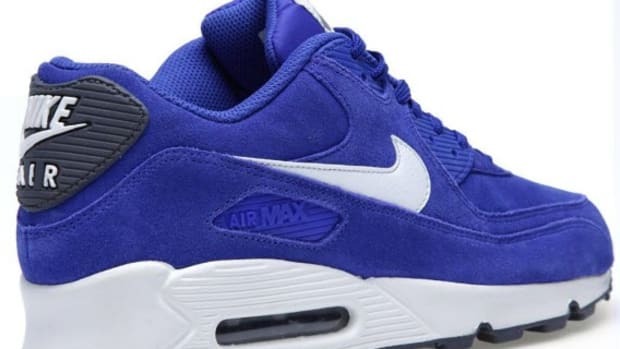 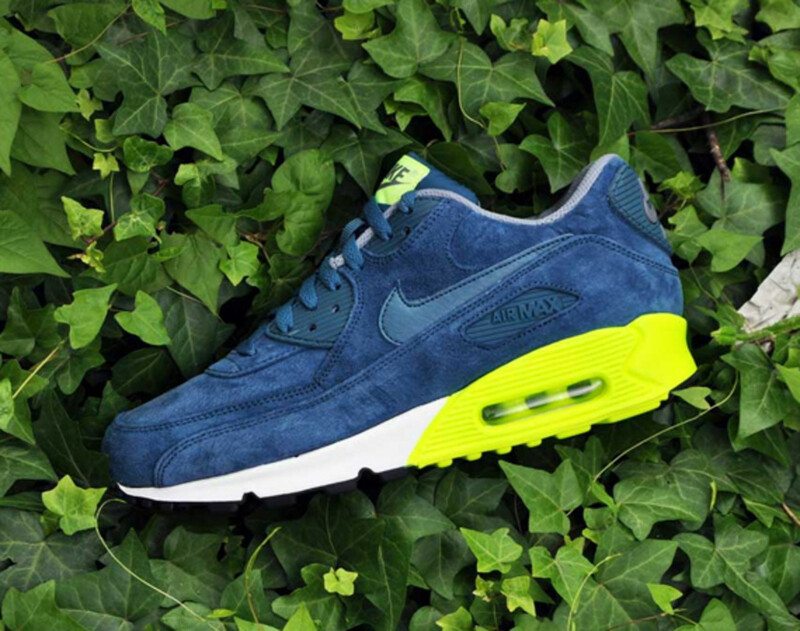 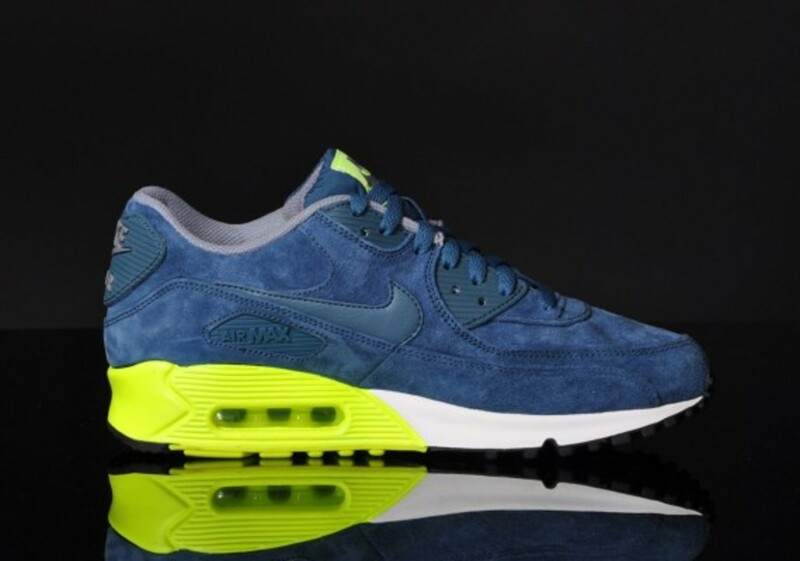 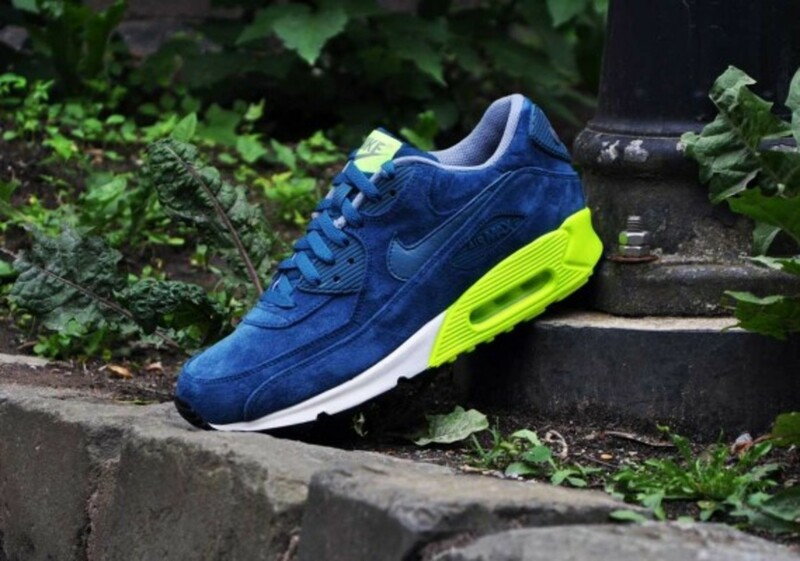 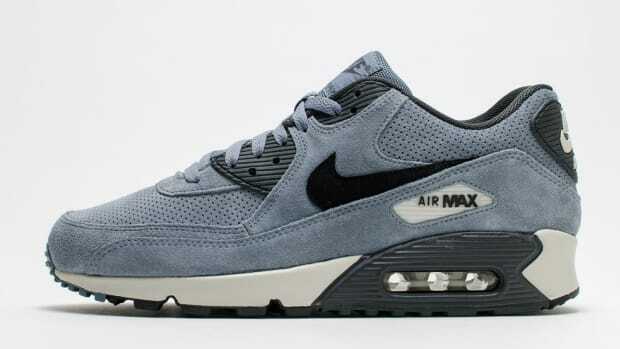 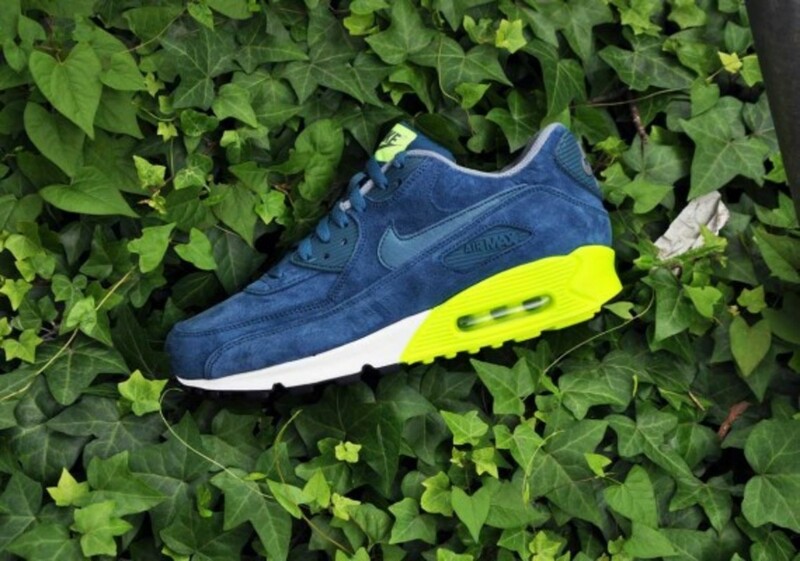 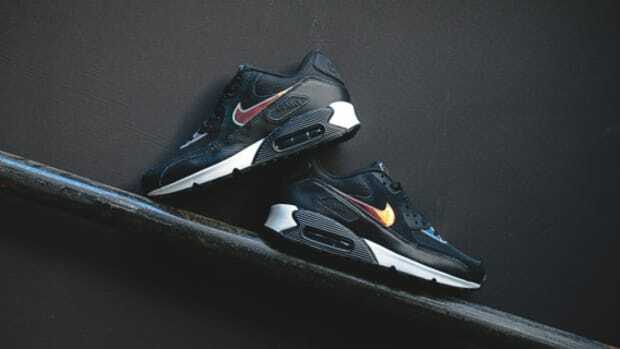 For Spring 2014, Nike is set to launch a Nike Air Max 90 Premium updated with a sumptuous suede build, one that finishes the entirety of the upper in a rich blue shade. 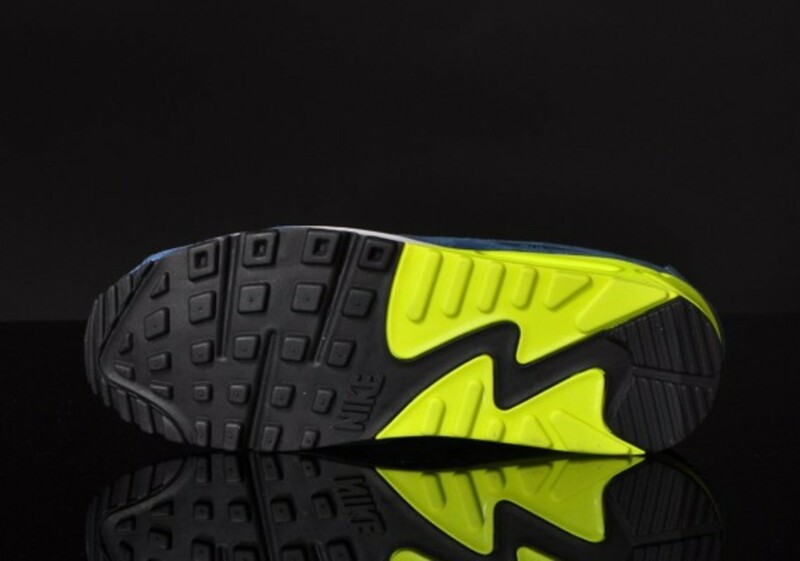 A tonal leather Swoosh and molded eyestays offer a break from the suede material story, while contrast pops of Volt appear at the tongue tag and midsole -- extending beyond the midsole wedge to wrap around the heel -- as well as the encapsulated Air unit. 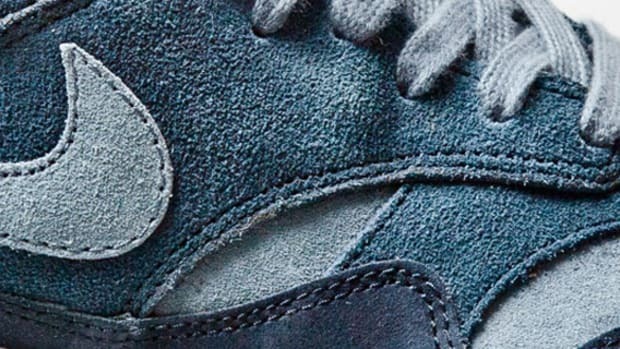 A grey mesh lining completes the look. 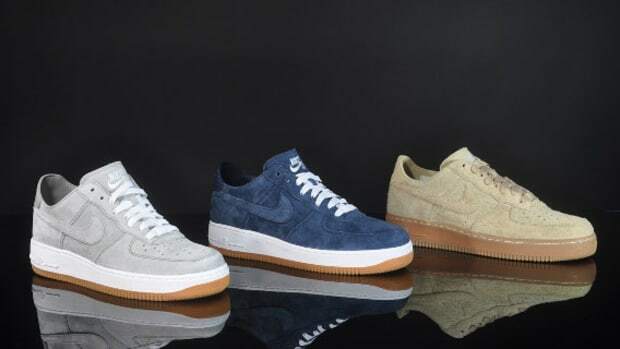 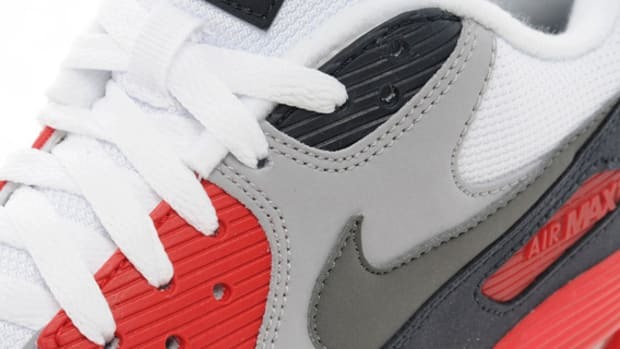 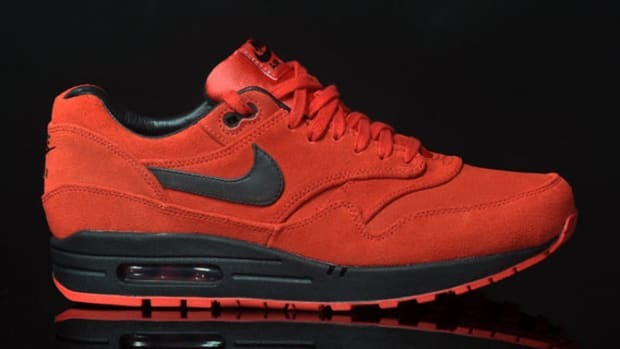 Check out detailed images below, and find the kicks available for pre-order now at Afew&apos;s online store.